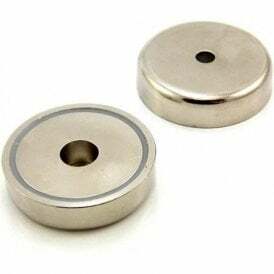 Pot and clamping magnets are designed to concentrate the magnetism to one face, which ensures maximum performance for the size of the magnet. 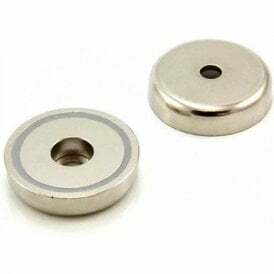 As a result, they are excellent for hanging tools, artwork and signs, after being fixed in place through their countersunk holes and threaded components. 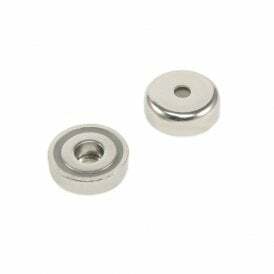 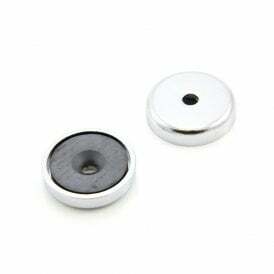 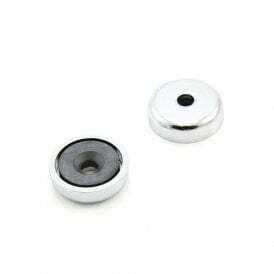 Pot and channel magnets consist of a steel shell with a magnet sunken into one face. 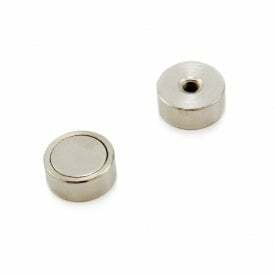 Both arrangements give many advantages; pot magnets can be supplied with a countersunk hole, a counter-bored hole, a threaded stud or a threaded collar while channel magnets are provided with pre-drilled holes, all for convenient mounting. 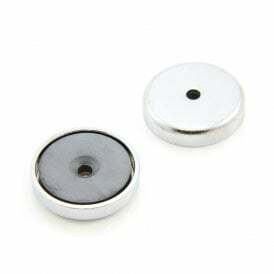 Magnetism is confined to one face only, where it is concentrated to give the maximum holding force possible for the size of the magnet. 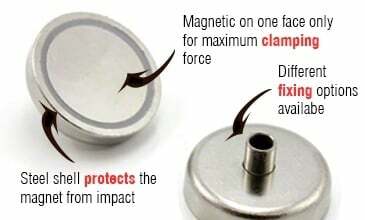 Pot and channel magnets do not chip or crack with constant impacting onto a steel surface which is another big advantage. 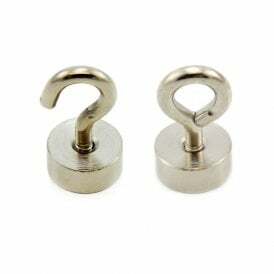 Pot magnets can also be supplied with hooks and eyebolt attachments, ideal for hanging a variety of items.